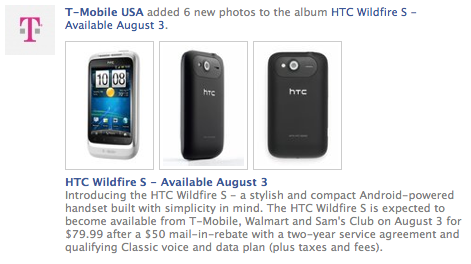 We told you it was coming, and now T-Mobile has made the HTC Wildfire S official. Coming August 3rd, you can pick up this no frills attached Android phone for $79.99, with the usual two year agreement of course. Oh, and you’ll be able to find the black one at Walmart and Sam’s Club. Any takers?! 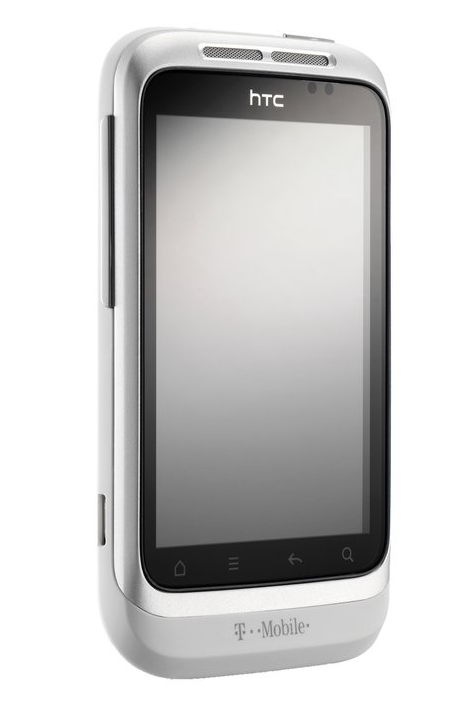 Today, T-Mobile announces the upcoming availability of the new HTC Wildfire S – a stylish and compact Android-powered handset built with simplicity in mind. 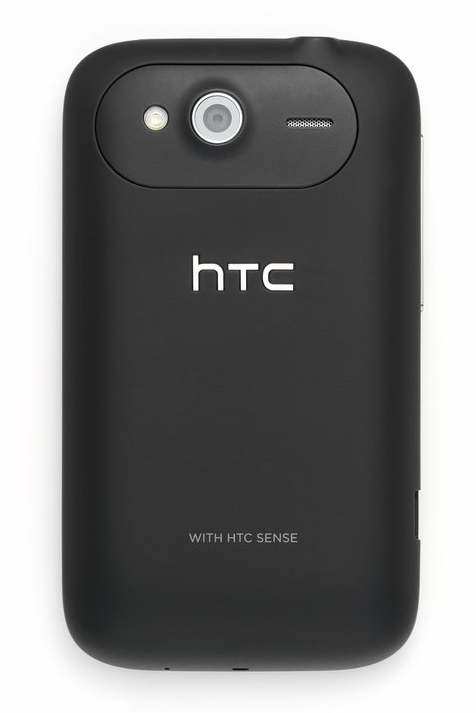 The HTC Wildfire S, expected to become available on August 3 for $79.99 after a $50 mail-in-rebate with a two-year service agreement and qualifying Classic voice and data plan (plus taxes and fees), comes equipped with the user-friendly HTC Sense experience combined with Android 2.3 (Gingerbread) operating system. 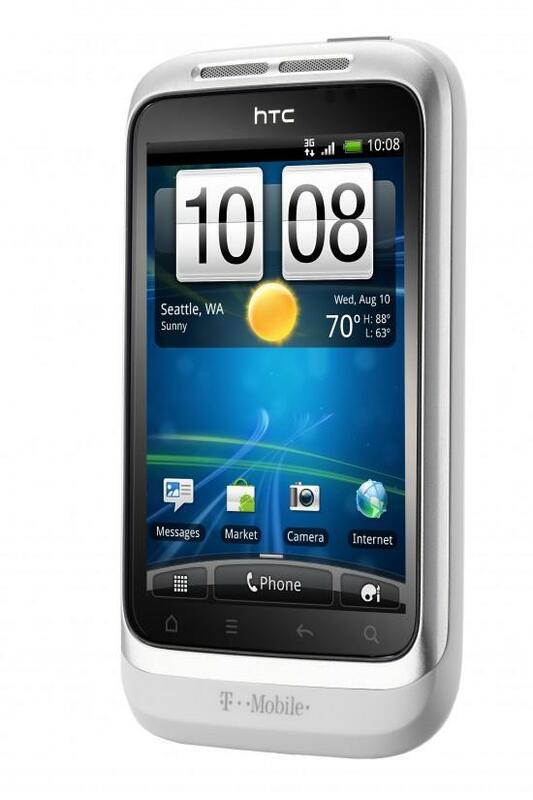 Packaged in a stylish form-factor, including a 3.2-inch capacitive touch screen display, the HTC Wildfire S is perfect for browsing the Web, accessing turn-by-turn navigation, sending and receiving emails, and keeping up with family and friends via Facebook and Twitter. 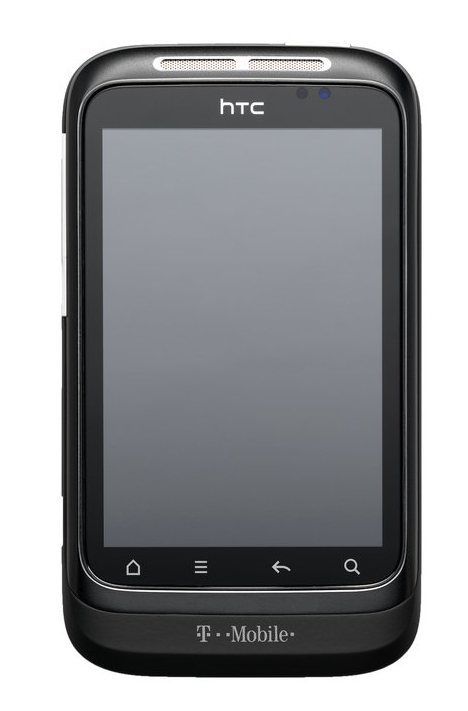 The new low-cost smartphone also offers essential smartphone features such as a 5-megapixel camera and video recorder and a virtual QWERTY keyboard with Swype for easy text input. 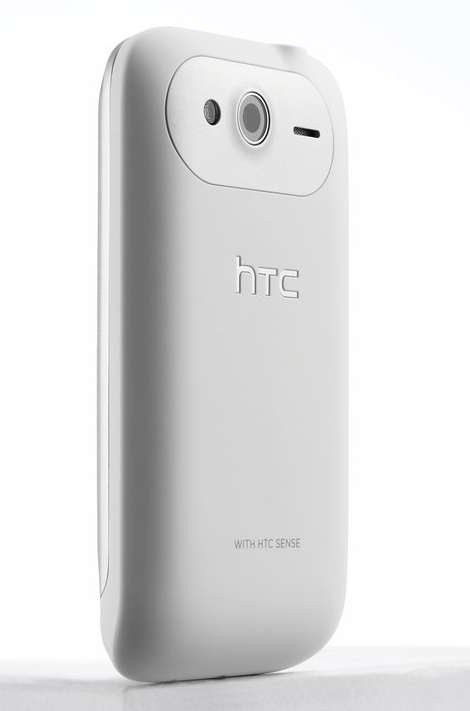 The HTC Wildfire S will be available in a white color finish at T-Mobile retails stores nationwide and online athttp://ww.t-mobile.com. 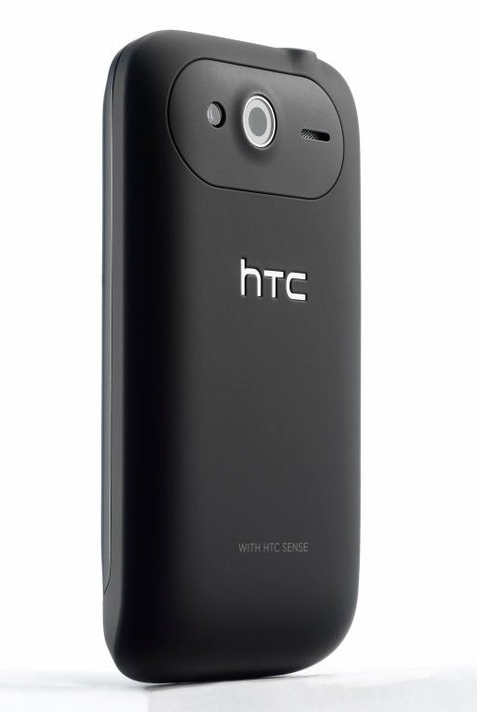 The HTC Wildfire S will also be available in a black color finish exclusively at Walmart, Sam’s Club and http://ww.t-mobile.com. Um, where’s the link to the official announcement? I would like a BF like that! AND the Exhibit has the Hummingbird processor – way better than this 600mhz Wildfire. For the price, Exhibit seems to be the way to go. Getting this one for my wife!!! cute but please bring on SGS2 . c’mon how often your parents gonna use FFC?